The NBA's renaissance man has come and gone. It's only fitting The Crossover takes a moment amidst major front office news and training camp chatter to toast Boris Diaw. The decision to commemorate Boris Diaw on this website nearly two weeks after he officially retired from basketball was not an editorial oversight: it’s probably what Diaw would have done, too. Diaw’s NBA exit actually took place some time ago—his final appearance came as a member of the Utah Jazz team that was swept out of the conference semifinals by the Golden State Warriors in 2017. He went back to play a season in France, captained the national team at the 2018 World Cup, then announced his retirement by waxing poetic for 20 minutes on YouTube, flanked by Tony Parker and Ronny Turiaf, sitting on a boat. The long, meandering arc cast by Diaw’s 14 seasons vibes neatly with the ethos of a fellow French thinker, the existentialist Jean-Paul Sartre, who posited that one’s own authenticity as a human being can only be earned through experience and through making choices—the exercising of freedom. In retirement, he will surely continue to do just that as an ambassador for the game, for individuality, for wine and for croissants. But it’s possible American poet Walt Whitman, in his famed “Song of Myself,” summarized it better: I am large, I contain multitudes. There will never be another basketball player who better embodies both nonchalance and élan at the same time. As a result, over the years myriad Diaw anecdotes—setting down his cappucino to clear a vert rack in flip-flops, supplying the Spurs with espresso brewed in his locker, spending his free time taking photos on safari, then writing a children’s book about it with National Geographic—have almost overwhelmed the essence of his talent. Diaw’s specific brand of playmaking, versatility and rope-a-dope effectiveness always seemed to overshadow the fact that he was actually very athletic. He was only an everyman if you believed in the eye test; in actuality, he was a savant. The personality of his game functioned almost in spite of his natural gifts. But leaning into the mythology is half the fun: passing up open shots simply to spite a frustrated coach, a Spurs contract that included six-figure bonuses for keeping his weight at or under 254 pounds, showing up as a ringer for one day this summer to win a prodigious streetball tournament in Paris weeks after joining the French marines. The highs of Diaw’s career have always been underscored by the unusual lows. He was a first-round pick who talked his way out of Atlanta after Mike Woodson wanted him to shoot more. He then broke out alongside Steve Nash in Phoenix, running the floor and making plays while spending time playing all five positions, averaging 13.3 points, 6.9 rebounds and 6.2 assists in 2005-06 and winning Most Improved Player. At a leaner 6’8”, he was the perfect modern small-ball big, fully realized a decade early. He then ate his way out of exile as a Charlotte Bobcat, where he was a full-time starter for an uninspired franchise and was rescued from the wreckage by the Spurs, reuniting him with lifelong friend Parker. 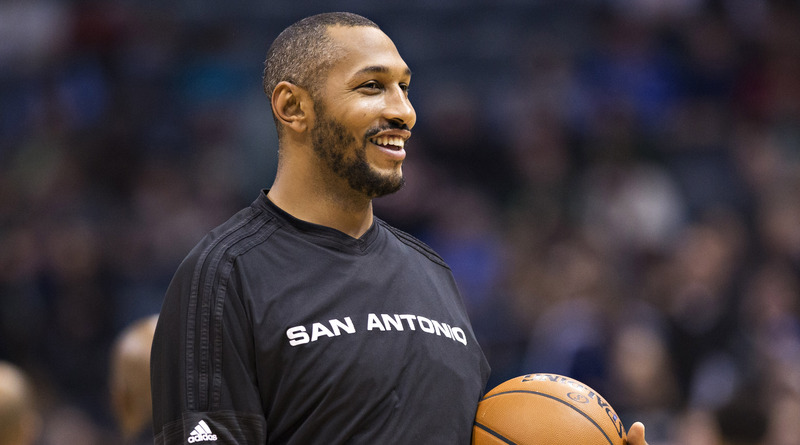 A rejuvenated, slightly trimmer Diaw would go on to put the round in all-around. The Spurs’ 2014 title run—the last of the Tim Duncan era—stands as Diaw’s masterpiece, and one for which he probably deserves more historical credit. In 23 playoff games, he averaged 12.6 points, 6.6 rebounds and 4.6 assists per-36 minutes, allowing San Antonio to play small while remaining big. He stepped into the starting lineup for Tiago Splitter in the Finals, providing an unorthodox counter to the Heat’s athletic, spacing-focused attack, forcing the two-time defending champions to rotate and rotate and rotate defensively, and quite possibly birthing the only stretch of time in human history where LeBron James looked legitimately baffled on a basketball court. The Spurs shot 65% from three in the last three games of a five-game series. Kawhi Leonard won Finals MVP, but it should probably have been more of a debate. That particular Spurs team has nearly dissolved, but the perfect, unselfish basketball on display in those Finals will never vanish from memory. The Heat’s failure in that series would lead to James’s return to Cleveland, but don’t forget that Diaw is also at least partially responsible for breaking up the Thunder. Let Diaw’s departure from the court remind us of the aesthetic value of several endangered species: Players who love passing, players who hate shooting, players who remind you of your dad on the court, players who remind you of your dad off the court, players who inspire you to keep playing ball into your 40s, players who inspire you to eat pastries. The basketball-loving public will miss him. But if his Instagram account is any indicator… he won’t miss us.